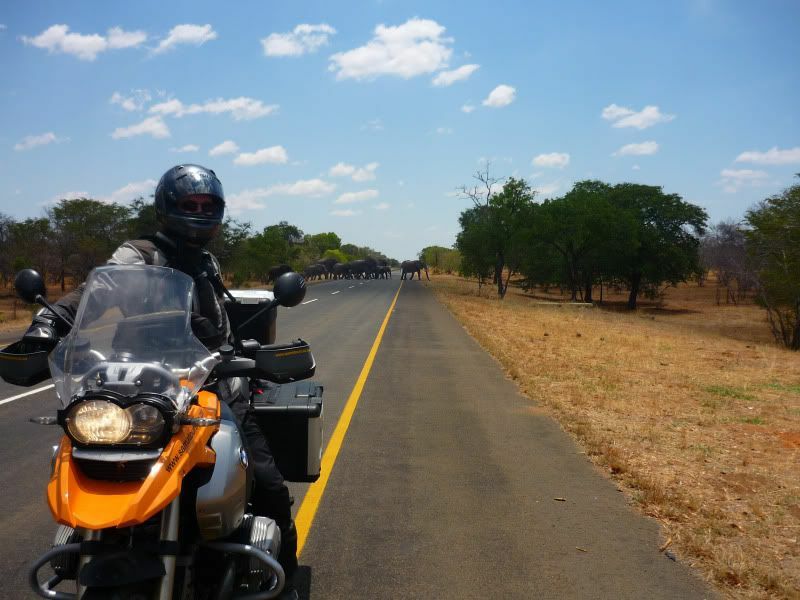 Although I've posted my African adventures on the Advrider website I really enjoy this site so I thought I should try and add something here. I've done four trips to southern Africa (and used to live near Amanzimtoti a looong time ago) and love it down there, but I live in a place with crap weather but amazing unpoliced roads: the Scottish highlands. 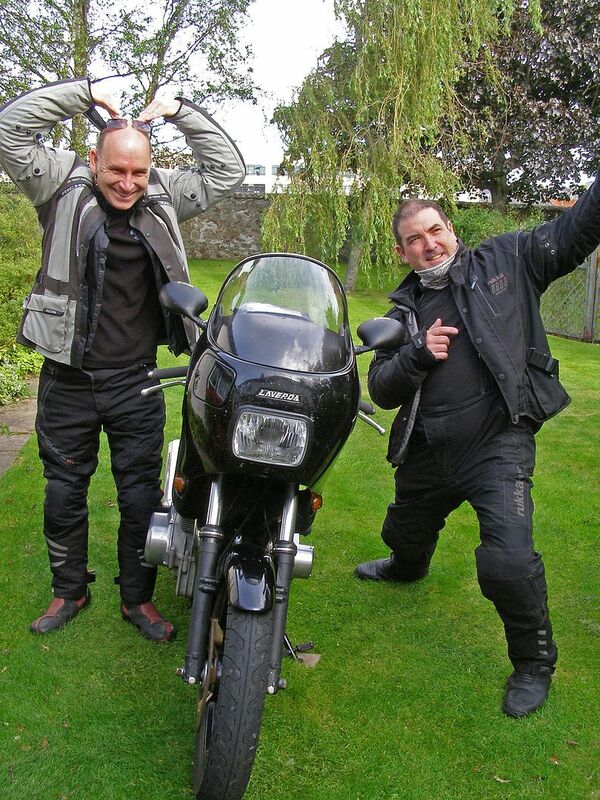 This is the story of a 'scatter' rally that takes place every year and is a good excuse to do some serious riding over a weekend in early autumn. 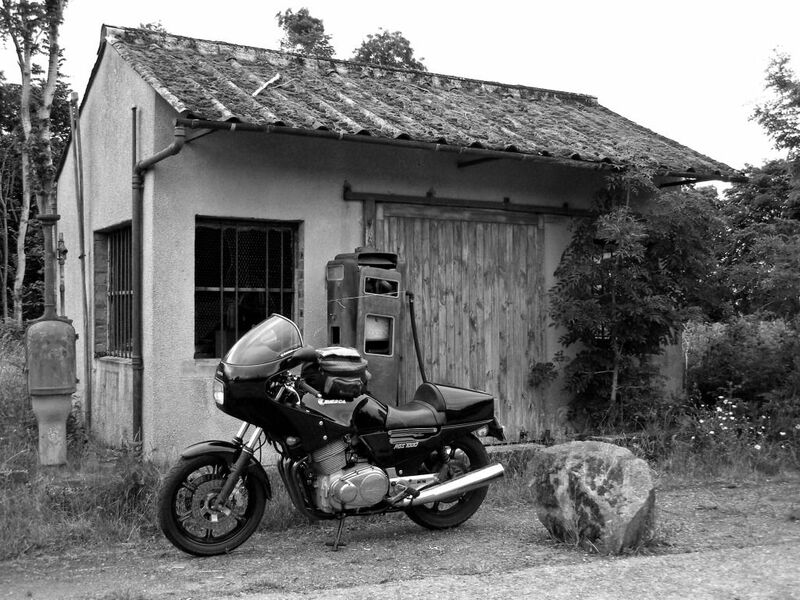 Sometimes I use my GS, but this time I was on my Laverda. I have a GS. With extra lights. But this time I'll be on the Laverda. A while back I realised two things: I like a ride with a purpose, and short 'sports' rides aren’t for me. Maybe this is why I enjoy the National Rally of Scotland so much, it's a 'scatter rally'- you plan your route taking in some of your favourite roads, passing through checkpoints on the way to a time critical final control, covering between 450 and 650 miles in a little over a day. This requires what I would call a 'Gran Tourismo' approach; ride fast enough to cover a lot of ground, but not flat out which is both dangerous and exhausting. Naturally one must select a fine GT motorcycle for this kind of event; fast, comfortable and reliable. Step forward the mighty Laverda RGS. 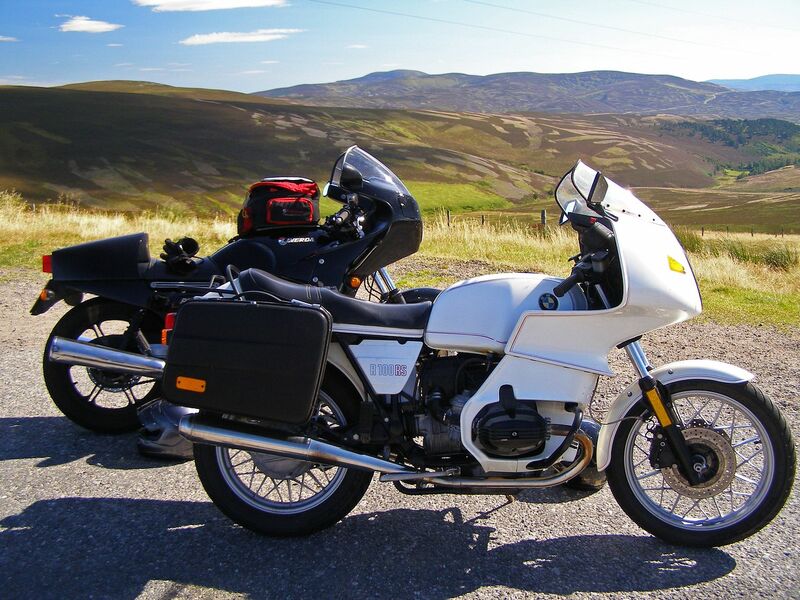 This year I was again joined for the event by noted Laverda engineer Keith Nairn of Laverda Scozia, although this time rather than his own RGS he elected to bring his newly acquired BMW R100RS, a bike built with similar intent to the Laverda, but perhaps lacking the Latin charisma oozing from my machine. At least I think that was what it was, it did look a lot like engine oil.... Keith started with me in Inverness, but two other ILOC members, Kevin Findlay and Bob Scott, were starting the rally further south, travelling separately. Kevin and Bob have both suffered injuries from which they are still recovering so they were also on more modern machinery giving them a better chance of completing the rally. 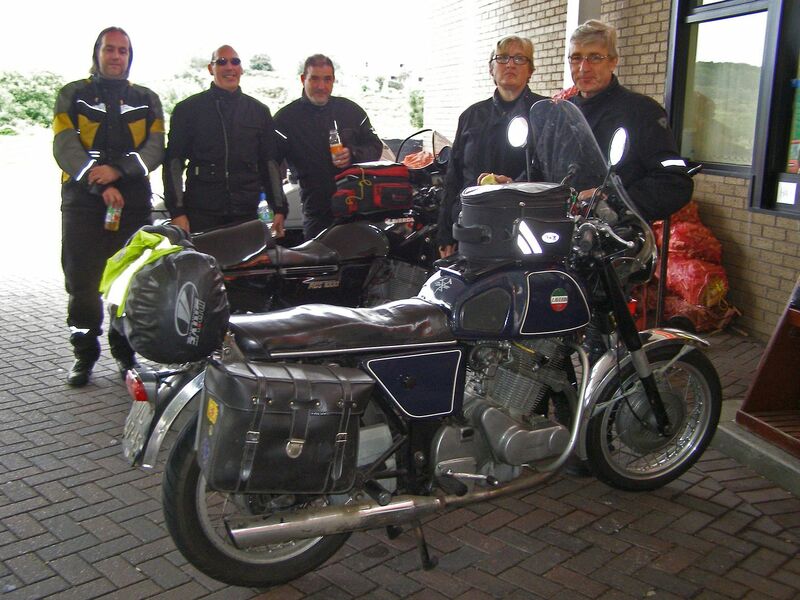 Perfectly understandable, but it left my RGS as the only machine flying the Laverda flag. Better finish then, eh? 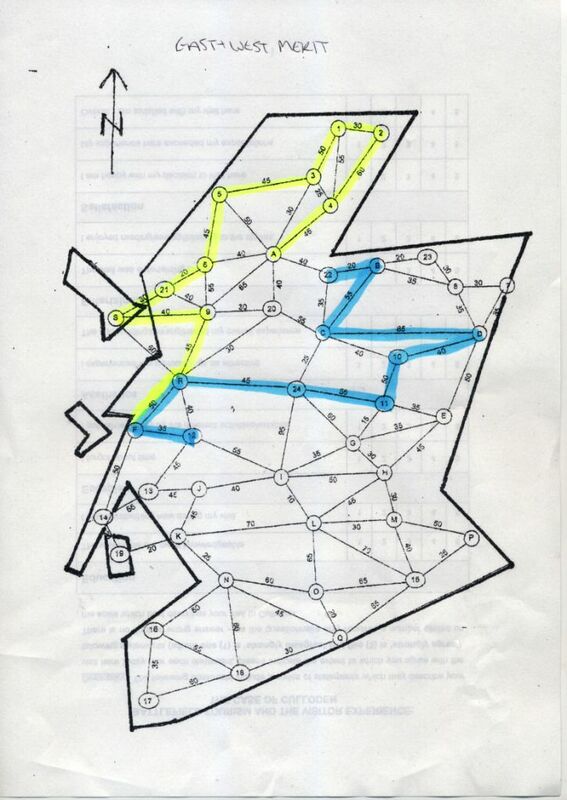 I had planned two 'Merit' (450 mile) routes, one to the north and west, and one to the east. This gave me the flexibility to choose a route on the day, hopefully avoiding any bad weather. Looking at the forecast it became clear that the easterly run was favourite, so a little later than I would have liked on Saturday morning, we headed east along the Moray coast to our first check point in Nairn. The rally map with the two routes. A quick stop in Aviemore and then we were heading east towards Tomintoul, the highest village in Scotland. Pulling up to a junction on the Lecht road we saw Kevin whizzing past on his superscooter. Clearly a man on a mission, he just waved and disappeared round the next corner heading north. 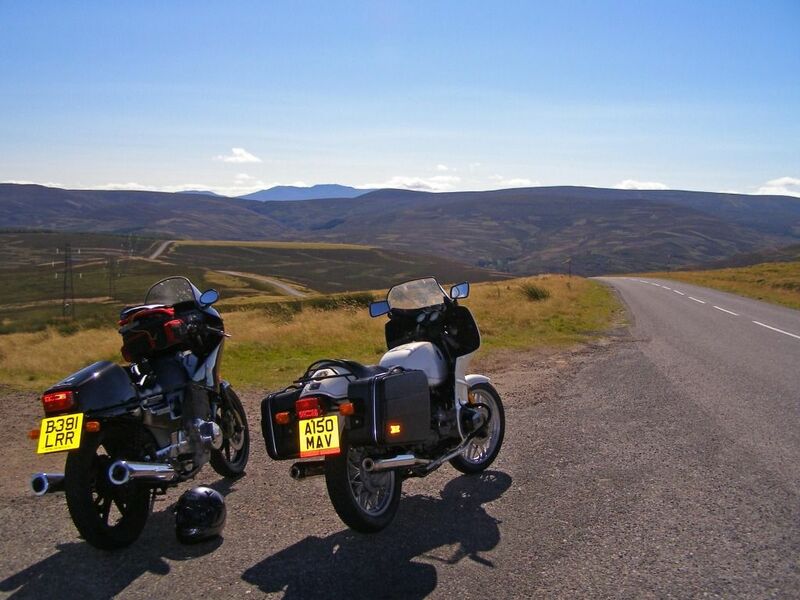 Our next checkpoint was in Aberdeen, some 85 miles east of Aviemore, and by now under clear blue skies it was actually getting quite warm, which was markedly different from the conditions we endured last year. The roads over the Cairngorms and down into Aberdeenshire were clear, and the landscape looked rich in every sense of the word with lush farmland surrounding castles and manor houses lurking down long driveways guarded by fairytale gate lodges. There had been little to slow our progress thus far, but traffic started to build as we approached the Granite City. The organisers of the rally sometimes change the checkpoints slightly and after getting a little lost and then refuelling at the old checkpoint I realised we should have been somewhere else, which caused further delays. We both switched into 'Despatch Rider' mode to get down Union Street, Aberdeen's long main drag and out onto the A93 to Royal Deeside. Traffic was heavy and my bike was showing 100 degrees on the temperature gauge, hotter than I've ever seen. The villages seemed to go on for ever, it reminded me of the hell that is riding in the south east of England, but once past the pretty Victorian town of Aboyne the roads cleared and we were able to up the pace. Unfortunately the delay in getting started and the faffing around in Aberdeen had put us behind schedule so it seemed unlikely that we would make the Dalwhinnie checkpoint, our last of the day, before it closed. Should we pull the plug? Keith was keen to carry on and I agreed, hoping that we could collect a receipt nearby to prove that we'd passed through. OK, game still on, so after the Braemar checkpoint we hammered on south through spectacular and challenging Glen Shee to the town of Blairgowrie, before turning north to Pitlochry and Dalwhinnie. Sure enough the petrol station that was the official checkpoint was closed, but a cafe nearby supplied a receipt. By now the day was becoming somewhat crepuscular, but a quick change to clear visors allowed us to enjoy a fine thirty five mile blat through Glen Spean ('Monarch of the Glen Country') to our overnight stop at the hotel in Roybridge, scene of much debauchery during ILOC Scottish Rallies in years gone past. 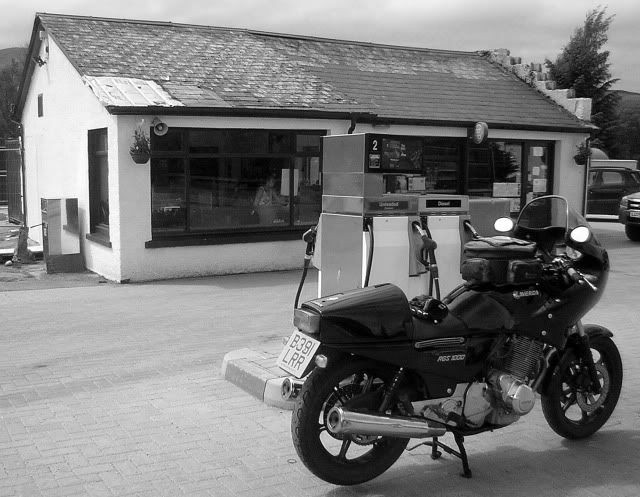 Disused gas station at Laggan, on the way to Roy Bridge. The checkpoint at Dalwhinnie. Closed. Rocking up at the bar we found Bob ready for his second pint and it wasn't long before Kevin arrived. The evening passed in the usual fashion, topped off with a round of fine malt whiskies. We left the somewhat rowdy kids by the pool table to it as we had to be up bright and early to continue the rally in the morning. 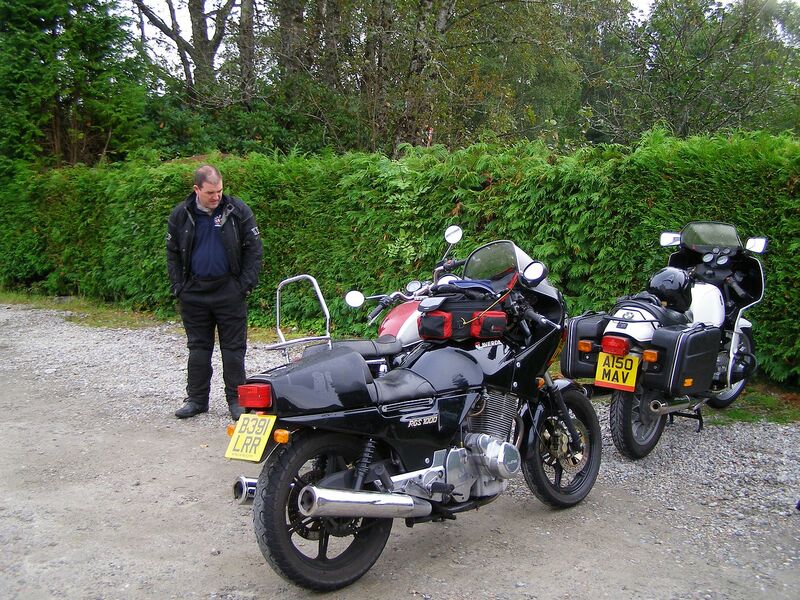 Kevin and I think Bob had done enough miles not to need to stop at my last checkpoint at Tyndrum, but I needed three that morning; Fort William, Oban and Tyndrum. The run down the coast from Ballachulish is spectacular and fun once clear of Fort William and Loch Linnhe, and happily the rain was still holding off. Good news for me as as my front tyre was pretty much goosed. Pulling in to the Oban checkpoint I was most surprised to see a familiar looking early 750 at one of the pumps. Flying Dutchman Jan Lauran and his wife just happened to be Scotland on tour and heading north to catch the Corran ferry to Ardnamurchan. 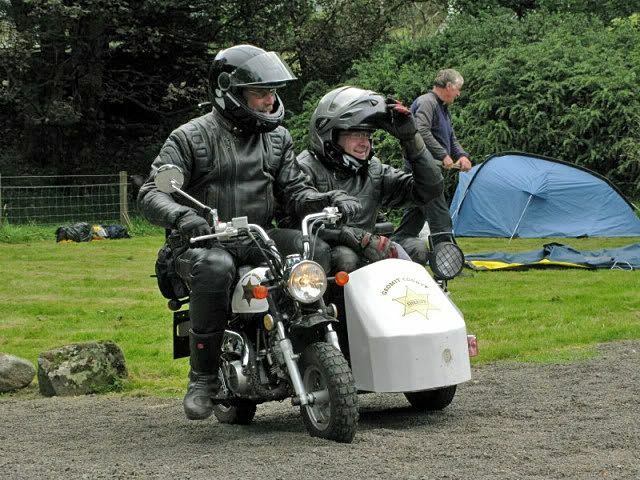 It was great to see Jan again having first met him at the Kintail Lodge rally a few years ago. Happily he hadn't encountered any of the feral goats that caused him so much consternation last time. 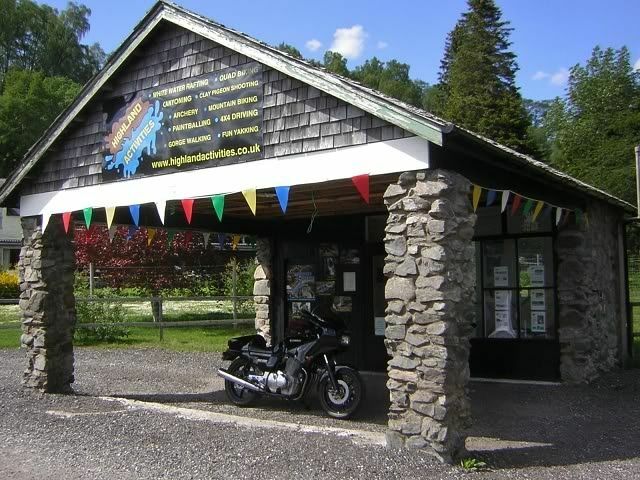 Time was ticking so we left Mr and Mrs Lauran and turned north to tackle the Pass of Brander to Tyndrum, stopping briefly to pick up a receipt and wonder at the foolishness of some of the Sunday Bikers at Scotland's answer to Box Hill. Naturally such unskilled loons attract the attention of the local constabulary so a gentle run was the order of the day to avoid any speed traps for the last few miles to Crianlarich and Final Control, a bit of an ask as we risked being time barred. In the event we arrived with a massive ten minutes to spare! Real life intruded all too soon, so sadly there was no time for a celebratory ale at the hotel that is the Final Control, and we were back on our bikes heading home. I had a great run north over Rannoch Moor and down through a menacing looking Glen Coe before passing through Fort William and the Great Glen back to Inverness. I saw Jan once more as he made for the ferry, and I arrived home mid afternoon having covered 570 hugely enjoyable miles over the day and a half. 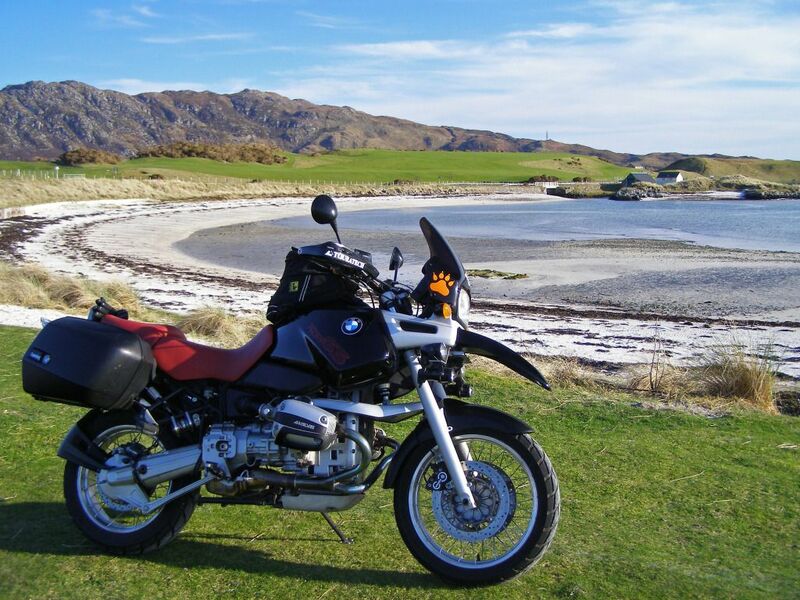 The National Rally of Scotland is organised by the Ariel Owners Club and takes place all over Scotland during the second weekend of September each year. It is part of the Three Nations Award which includes the ACU National Road Rally and the Welsh event. Ha what a small world. I've been hanging out at Keith's mystical cave of mechanical wonders for the last year on and off. 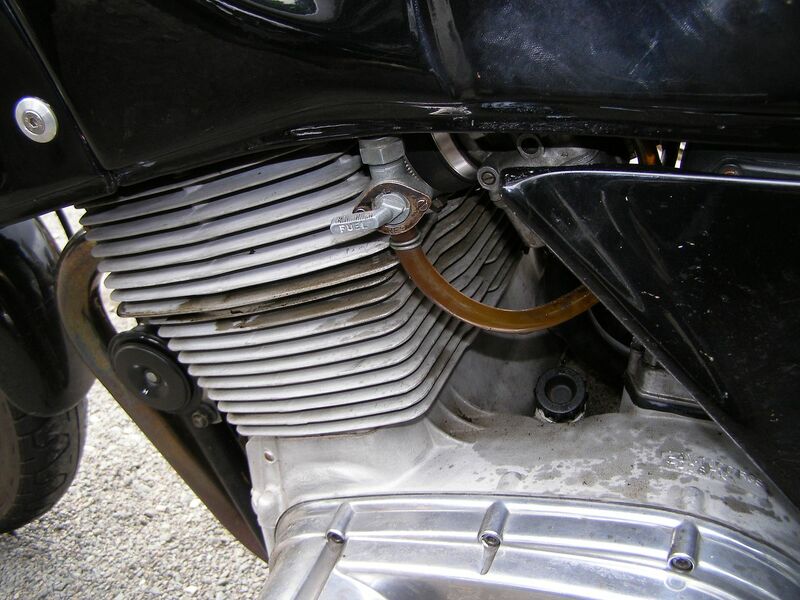 Watching him breathe life into those laverdas is a sight to behold. Eloquent write up too. Huh, just seen this- what takes you to Mr Nairn's lair? He's hopefully busy finishing off the engine rebuild on my RGS. Man was that engine in need of some TLC. Still went OK apart from the smoking though. Gotta love yer Lav eh?